Bass & Reiner is pleased to present Infinity Cove, a two-person exhibition featuring Leah Beeferman and Kristine Eudey. An “infinity cove” is a built environment or set created to give a photograph the appearance of infinite depth, but the term also hints at a real geographical landscape. This exhibition features two artists who are exploring concepts of physical space through a practice rooted, sometimes distantly, in photography. Leah Beeferman’s work combines photographs from places that she has observed and experienced together with intangible gestures and compositions informed by her interests in quantum physics and digital space. In the series Shores flat backgrounds of digital color give way to fields of repetitive materials. These moments challenge our everyday perceptions of surfaces – ice and stone shimmer as one, water calcifies, pavement becomes gesture. Challenging easy categorization, Beeferman likens her digitally manipulated surfaces to those of a painting. Beneath the apparent image lie stratified layers of photographic material and invisible information, the back painting all but imperceptible beyond the .psd file. The work is composed in the 16:9 aspect ratio of a smartphone or HDTV screen and is dye-sublimated to a vertical aluminium surface, further blurring the lines between the digital and material, the virtual and the actual. Kristine Eudey’s work is guided by a photographer’s eye for the significant surfaces of materials and objects as they are encountered in the world. Eudey re-presents those surfaces in the space of the gallery, combining and recombining materials, carefully leaning or balancing, alluding to the haphazard conditions of their finding. 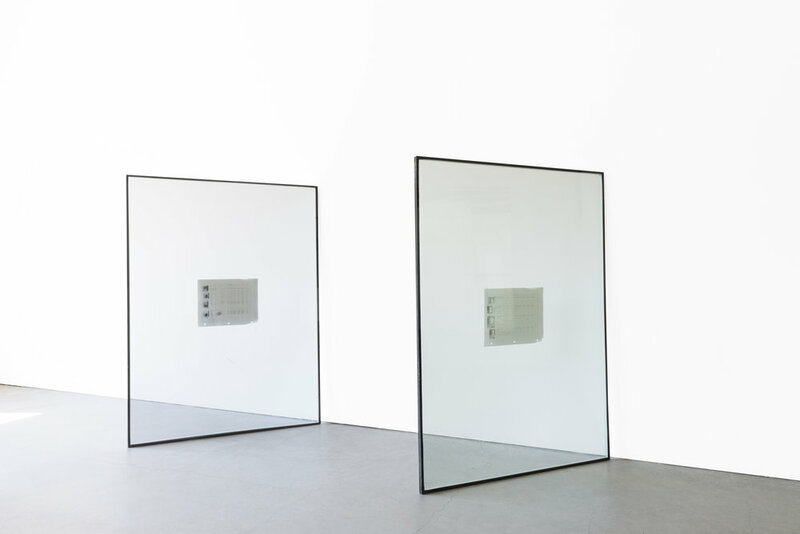 In Infinity Cove, the included materials suggest their nominal use, but through Eudey’s arrangements they insist on a new kind of objecthood for themselves: materials are reduced to surfaces, images of themselves embedded within a new network of physical objects, their condition reframed by their placement.